Perfect for homeowners looking for a beautiful, low-maintenance lawn, SYNLawn offers professional installation for our synthetic turf. 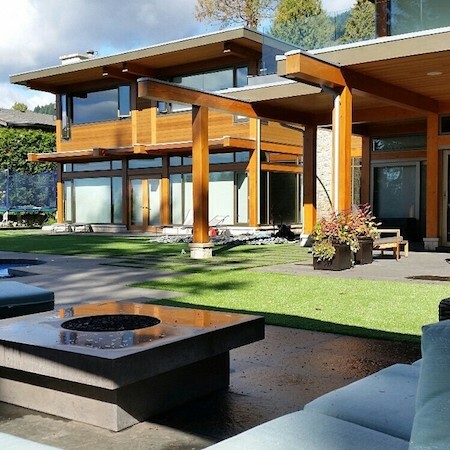 We have created beautiful outdoor spaces for our Vancouver residential landscaping turf clients. Make your lawn the envy of your friends and neighbors by installing SYNLawn® artificial grass and enjoying a perfectly manicured yard year-round. Add beauty to your home with the durability of our synthetic turf products. We have transformed landscapes with artificial lawns, on decks and patios, backyard putting greens, playground grass, dog runs and more. Furthermore, we have created artificial turf that is safe for every member of the family including your pets. 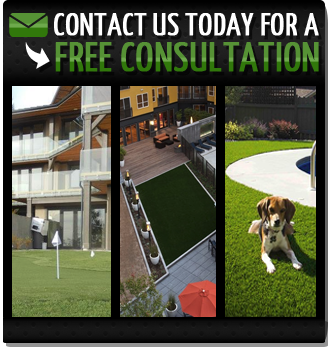 We would be happy to custom design your synthetic grass installation in a way you will be thrilled with. This is not the fake grass of days gone by. You’ll be amazed at how realistic our synthetic lawns are, and excited at the prospect of a lawn that retains its perfection year-round. There are so many benefits that come with installing SYNLawn residential turf at your home. SYNLawn® has always strived to provide homeowners with products that offer the very best return on their investment. A synthetic lawn whose beauty will make you the envy of the neighborhood while actually paying for itself over time accomplishes that goal. Upgrade your home’s outdoor space with your very own SYNLawn® synthetic grass installation. You will not only increase your property value but allow yourself more time to enjoy what you already have. The following year we decided to put SYNLawn® over the cement around our pool and hot tub and WHAT A DIFFERENCE!!! It isn’t slippery, it feels good on the feet, it is awesome. - Nicole Kirstiuk - happy customer.